Ginseng, a perennial herb, is a medicinal material of the Northeast and is widely used in the processing and production of food and medicine. Microwave drying technology is an auxiliary method for extracting, drying and sterilizing by microwave. Nowadays it is widely used in order to prevent early deterioration of food for storage, usually using ultraviolet lamp, steam, high pressure, cobalt 60, ozone, nitrogen, and addition. Preservatives and other methods for sterilization, microwave drying technology has opened up an ideal way to simultaneously sterilize materials inside and outside, without destroying nutrients. The effective use of herbal microwave drying technology in people's participation in the process. The effects of different drying methods on the extraction and separation of ginsenosides were investigated. METHODS: Fresh ginseng was dried by three methods: natural drying, oven drying and microwave drying. The drying effect was observed. The ginsenosides in three kinds of dry ginseng were extracted by boiling and microwave heating, and further foamed. The separation method separates and concentrates various saponin components, determines the concentration of total saponins and monomer saponins, and calculates the recovery rate. Results: Microwave drying of fresh ginseng saves energy, appearance and fresh ginseng is no different, which is beneficial to the release of active ingredients. Microwave heating to extract ginsenoside can obtain the same saponin recovery rate as boiled in a short time. Microwave drying is better for homogeneous systems, and mass transfer heat transfer is affected for heterogeneous systems. 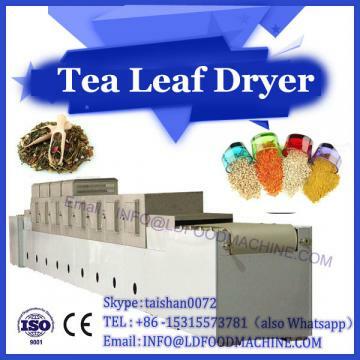 For the drying of traditional Chinese medicine, the application of the material should be considered, including the composition of the drug and its properties, water content, material form, material amount, material thickness, etc., and the microwave drying equipment with uniform temperature distribution can be selected to carry out the drying process. 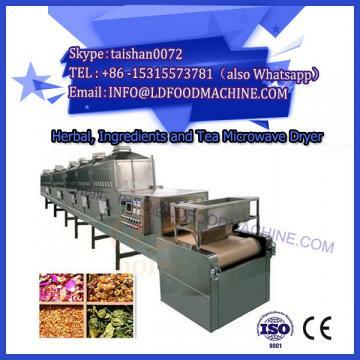 Should pay attention to the superheat effect of microwave drying, pay attention to the effects of microwave drying on high molecular substances (proteins, etc. ), heat sensitive components, volatile components, toxic components, etc., pay attention to the effects of interactions and biological activities of pharmaceutical ingredients, and determine reasonable Power, power density, temperature, time and other parameters and endpoint judgment indicators, and process validation. 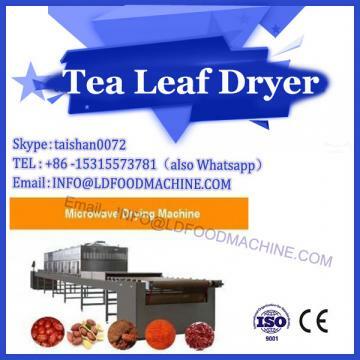 When the microwave drying technology is used in combination with other drying technologies, the research should be carried out according to the characteristics of the selected equipment and methods, and should be reasonably selected according to the research results. In addition to thermal effects, microwave drying may also have non-thermal effects. At present, the degree of influence and influence of microwave drying on pharmaceutical ingredients is not very clear. The choice of microwave drying process should consider the nature of the material and its applicability to microwave technology. Based on sufficient research, it should be determined according to the comparative study results of specific varieties. Changes to the drying process should be based on adequate research to determine the type of change and conduct a corresponding change study. The consistency of the quality of the drug or food before and after the change should be studied. The chemical composition (including the overall composition evaluation, fingerprint and other indicators) before and after the change, the physical and chemical properties of the dry material and their extent, as well as the impact on the subsequent preparation process, should be studied. Or the possible impact of the absorption and utilization of food ingredients, and pay attention to the impact of the application of microwave technology on the effectiveness and safety of drugs.